March is always an exciting time in our household. It always feels like a new beginning of a sort. With daylight savings giving us that extra hour in the day back, the sun staying out longer, the cherry blossoms beginning to open up and summer around the corner, March's spring cleaning has always coincided with Holi, the festival of colour. Holi celebrates the triumph of good over bad and has been celebrated for a very long time. Nowadays, you'll see its popularity has grown with University campuses holding Holi events where everyone throws colours on each other similar to some customs in India. Holi is celebrated differently in the various regions and populations of India. Our family has always cleaned the house and added colour to our decor. It was a way to make our daily life colourful while celebrating Holi and to represent the changing of the season in our decor and #makeitcolorful It would be a good change to our living space and interior decoration for hosting our extended family over for tea and Indian snacks as both my parents are the eldest on their respective sides in Canada. The gathering of our family was important since Holi represents the renewal of relationships. It is always a good opportunity to get back in touch with family we normally wouldn't see. 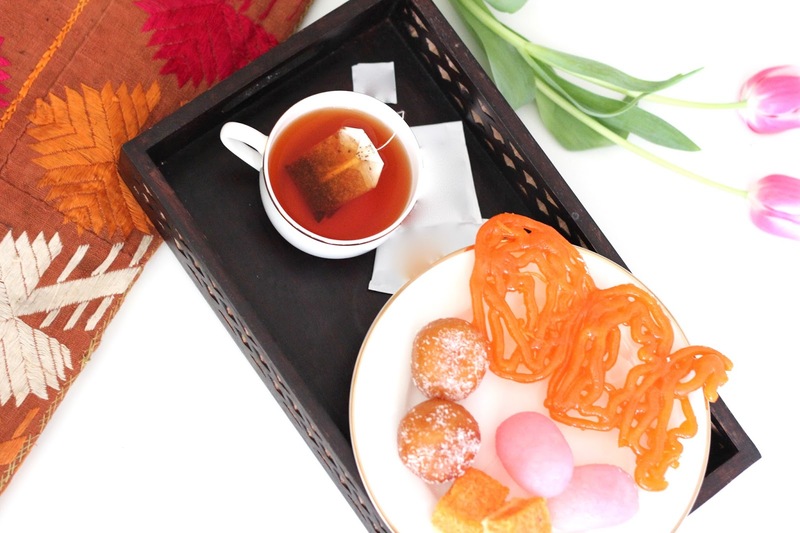 For this Holi we decided to serve Chai Moments tea with traditional Indian snacks, and we changed up our decor with subtle hints of colour as we always have done! The great thing about Chai Moments tea is that there is a flavour for everyone from Cardamom to Ginger and even a Chai tea latte mix. It's also super easy to make--all you have to do is add hot water and mix--and that made it a hit with our family this Holi! The thing about changing your decor for holi/spring is not in splurging. Honestly simple touches of colour found in household items or simple flowers are an easy way to change up your home decor #makeitcolorful and not breaking the bank! 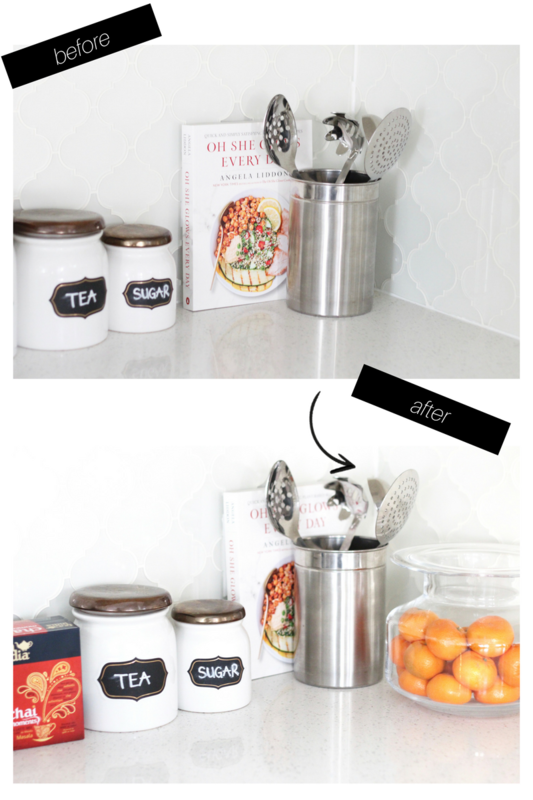 #makeitcolourful in your kitchen by adding some colour in your kitchen corner - we added some oranges in a glass bowl and hey those wonderful chai moments boxes sure do add some nice colour as well! 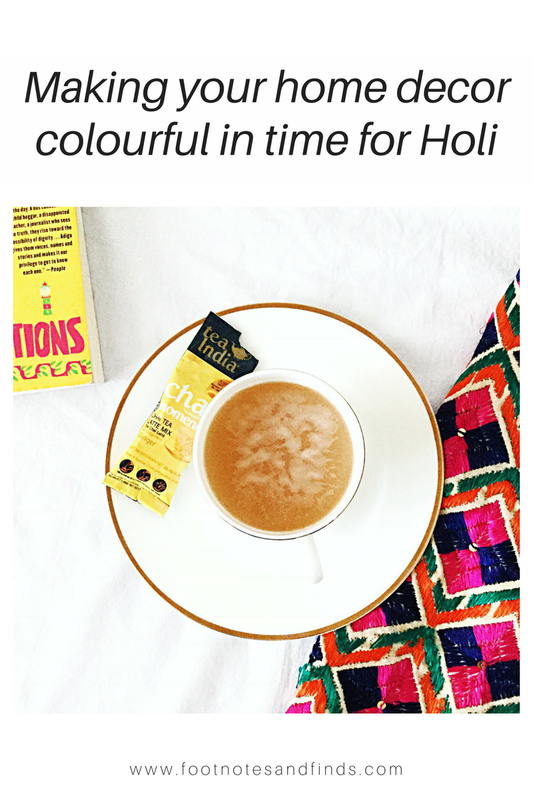 Remember to check Tea India out on Facebook!